Dana’s molded gaskets include many different rubber gasket designs to seal joints in engines and transmissions, which improves durability and reduces downtime in high-pressure situations. 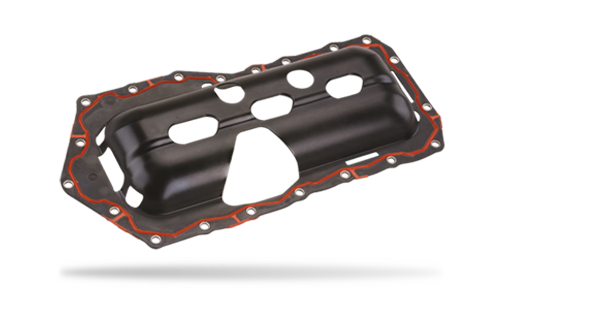 Our molded pressed-in-place gaskets are completely compacted in a metal-to-metal joint groove in die-cast front covers, oil pans, and other housings with an as-cast groove. Retention features of the material provide a void/volume, self-retaining design for superior sealing pressure, which helps enhance durability.